Abstract: Paper aims: The paper seeks to compare the performance of three layouts in a make to order (MTO) production system with high product variability. Originality: No previous work sought to compare job shop, cellular and virtual cell layouts in an MTO system with high product variability, with just 21 resources, a low amount. The analysis considered models with the same capacities and demand for the three layouts. Research method: The complete factorial design and ANOVA were used with simulation. The main effects plots of the control factors for response variables were obtained (e.g. throughput, lead time, and resource utilization). Main findings: The virtual cell layout had results similar to the job shop, but achieved better outcomes compared with the traditional cell. Agarwal, A., & Sarkis, J. (2001). Evaluating functional and cellular manufacturing systems: a model and case analysis. International Journal of Manufacturing Technology and Management, 3(6), 528-549. http://dx.doi.org/10.1504/IJMTM.2001.001428. Al-Aomar, R., & Al-Okaily, A. (2006). A GA-based parameter design for single machine turning process with high-volume production. Computers & Industrial Engineering , 50(3), 317-337. http://dx.doi.org/10.1016/j.cie.2006.02.003. Alhourani, F. (2015). Cellular manufacturing system design considering machines reliability and parts alternative process routings. International Journal of Production Research , 54(3), 846-863. http://dx.doi.org/10.1080/00207543.2015.1083626. Andersen, A.-L., Brunoe, T. D., Nielsen, K., & Rösiö, C. (2017). Towards a generic design method for reconfigurable manufacturing systems. Journal of Manufacturing Systems, 42, 179-195. http://dx.doi.org/10.1016/j.jmsy.2016.11.006. Andrade, J. H. D., & Fernandes, F. C. F. (2018). Barriers and challenges to improve interfunctional integration between Product Development and Production Planning and Control in Engineering-to-Order Environment. Gestão & Produção, 25(3), 610-625. http://dx.doi.org/10.1590/0104-530x1087-13. Arkat, J., & Ghahve, H. (2014). Scheduling of virtual manufacturing cells with outsourcing allowed. International Journal of Computer Integrated Manufacturing , 27(12), 1079-1089. http://dx.doi.org/10.1080/0951192X.2013.874581. Assad, A. A., Kramer, S. B., & Kaku, B. K. (2003). Comparing functional and cellular layouts: A simulation study based on standardization. International Journal of Production Research, 41(8), 1639-1663. http://dx.doi.org/10.1080/0020754021000049790. Bazargan-Cart, M., & Nahavandi, S. (2001). The Impact of Cell Formation on Layout Designs in Cellular Manufacturing. Intelligent Automation & Soft Computing , 7(1), 13-22. http://dx.doi.org/10.1080/10798587.2001.10642800. Cheng Ying, N., Ab-Samat, H., & Kamaruddin, S. (2016). Pratical Production layout design for multi-product and small-lot-size production: A case study. Journal Teknologi , 78(7), 161-175. Chin, S. Y. (2013). Virtual Cells: Evalution of different lot sizing splitting strategies. International Journal of Manufacturing Research, 8(1), 18-41. http://dx.doi.org/10.1504/IJMR.2013.051838. Colosimo, B., Semeraro, Q., & Tolio, T. A. (2000). Rule based system for non linear process plan generation. Studies in Informatics and Control, 9(2) 133-143. Costa, R. F. S. (2010). Abordagem sistemática para avaliação econômica de cenários para modelos de simulação discreta em manufatura. (Dissertação de mestrado). Instituto de Engenharia de Produção e Gestão, Universidade Federal de Itajubá, Itajubá. Dakov, I., Lefterova, T., & Petkova, A. (2010). Layout and Production Planning of Virtual Cellular Manufacturing Systems for Mechanical Machining. Journal of Economic Asymmetries, 7(1), 43-67. http://dx.doi.org/10.1016/j.jeca.2010.01.004. Deep, K., & Singh, P. K. (2016). Dynamic cellular manufacturing system design considering alternative routing and part operation tradeoff using simulated annealing based genetic algorithm. Shadana, 41(9), 1063-1079. Defersha, F. M., & Hodiya, A. (2017). A mathematical model and a parallel multiple search path simulated annealing for an integrated distributed layout design and machine cell formation. Journal of Manufacturing Systems, 43, 195-212. http://dx.doi.org/10.1016/j.jmsy.2017.04.001. Deja, M., & Siemiatkowski, M. (2010). Generation of Optimal Process Plan Alternatives for Manufacturing Mechanical Components. Solid State Phenomena, 165, 250-255. http://dx.doi.org/10.4028/www.scientific.net/SSP.165.250. Deja, M., & Siemiatkowski, M. S. (2012). Feature-based generation of machining process plans for optimised parts manufacture. Journal of Intelligent Manufacturing , 24(4), 831-846. http://dx.doi.org/10.1007/s10845-012-0633-x. Devise, O., & Pierreval, H. (2000). Indicators for measuring performances of morphology and material handling systems in flexible manufacturing systems. International Journal of Production Economics, 64(1-3), 209-218. http://dx.doi.org/10.1016/S0925-5273(99)00059-6. Dias, L. M. S., Pereira, G. A. B., Vik, P., & Oliveira, J. A. (2014). Layout and process optimisation: using computer-aided design (CAD) and simulation through an integrated systems design tool. International Journal of Simulation and Process Modelling, 9(1/2), 46. http://dx.doi.org/10.1504/IJSPM.2014.061437. Drira, A., Pierreval, H., & Hajri-Gabouj, S. (2007). Facility layout problems: A survey. Annual Reviews in Control, 31(2), 255-267. http://dx.doi.org/10.1016/j.arcontrol.2007.04.001. Drolet, J., Marcoux, Y., & Abdulnour, G. (2008). Simulation-based performance comparison between dynamic cells, classical cells and job shops: a case study. International Journal of Production Research, 46(2), 509-536. http://dx.doi.org/10.1080/00207540601138312. Ekren, B. Y., & Ornek, A. M. (2008). A simulation based experimental design to analyze factors affecting production flow time. Simulation Modelling Practice and Theory , 16(3), 278-293. http://dx.doi.org/10.1016/j.simpat.2007.11.016. Ertay, T. (1998). Simulation approach in comparison of a pull system in a cell production system with a push system in a conventional production system according to flexible cost: A case study. International Journal of Production Economics, 56-57, 145-155. http://dx.doi.org/10.1016/S0925-5273(98)00035-8. Ferreira, J. C. E., & Reaes, P. A. (2013, Ago 17-20). Performance comparison of the virtual cell layout with cellular and job shop configurations using simulation and design of experiments. In IEEE International Conference on Automation Science and Engineering (pp. 795-800). Wisconsin: IEEE Robotics and Automation Society. http://dx.doi.org/10.1109/CoASE.2013.6654054. Ferreira, J. C. E., & Wysk, R. A. (2001a). An investigation of the influence of alternative process plans on equipment control. Journal of Manufacturing Systems , 19(6), 393-406. http://dx.doi.org/10.1016/S0278-6125(01)80011-X. Ferreira, J. C. E., & Wysk, R. A. (2001b). On the efficiency of alternatives in process plans. Journal of the Brazilian Society of Mechanical Sciences, 23(3), 285-302. http://dx.doi.org/10.1590/S0100-73862001000300003. Freitas Filho, F. P. (2008). Introduction to Modeling and Simulation of Systems: with applications in Arena®. (2nd ed.). Florianópolis: Visual Books. Fung, R. Y. K., Liang, F., Jiang, Z., & Wong, T. N. (2006). A multi-stage methodology for virtual cell formation oriented agile manufacturing. International Journal of Advanced Manufacturing Technology, 36(7-8), 798-810. http://dx.doi.org/10.1007/s00170-006-0871-1. Garza-Reyes, J. A., Al-Balushi, M., Antony, J., & Kumar, V. (2016). A Lean Six Sigma framework for the reduction of ship loading commercial time in the iron ore pelletising industry. Production Planning and Control, 27(13), 1092-1111. http://dx.doi.org/10.1080/09537287.2016.1185188. Gomes, J. H. F. (2010). Análise e otimização da soldagem de revestimento de chapas de aço carbono utilizando arame tubular inoxidável austenítico. 136 p. (Dissertação de mestrado). Universidade Federal de Itajubá, Itajubá. Gupta, A., Jain, P. K., & Kumar, D. (2015). Configuration selection of reconfigurable manufacturing system based on performance. International Journal of Industrial and Systems Engineering, 20(2), 209. http://dx.doi.org/10.1504/IJISE.2015.069543. Haddou Benderbal, H., Dahane, M., & Benyoucef, L. (2017). Flexibility-based multi-objective approach for machines selection in reconfigurable manufacturing system (RMS) design under unavailability constraints. International Journal of Production Research , 55(20), 6033-6051. http://dx.doi.org/10.1080/00207543.2017.1321802. Hamedi, M., & Esmaeilian, G. (2015, March 3-5). Functional and distributed layouts and their effectiveness on capability-based Virtual Cellular Manufacturing systems performance. In International Conference on Industrial Engineering and Operations Management . Dubai: IEEE. http://dx.doi.org/10.1109/IEOM.2015.7093847. Hamedi, M., Esmaeilian, G. R., Napsiah, I., & Ariffin, M. K. A. (2012a). A survey on formation of virtual cellular manufacturing systems (VCMSs) and related issues. Scientific Research and Essays, 7(40), 3316-3328. http://dx.doi.org/10.5897/SRE11.217. Hamedi, M., Esmaeilian, G. R., Napsiah, I., & Ariffin, M. K. A. (2012b). Capability-based virtual cellular manufacturing systems formation in dual-resource constrained settings using Tabu Search. Computers & Industrial Engineering, 62(4), 953-971. http://dx.doi.org/10.1016/j.cie.2011.12.020. Hamedi, H., Ismail, N., Esmaeilian, G. R., & Ariffin, M. K. A. (2012c). Virtual cellular manufacturing system based on resource element approach and analyzing its performance over different basic layouts. International Journal of Industrial Engineering Computations , 3(2), 265-276. http://dx.doi.org/10.5267/j.ijiec.2011.07.002. Javadi, B., Jolai, F., Slomp, J., Rabbani, M., & Tavakkoli-Moghaddam, R. (2013). An integrated approach for the cell formation and layout design in cellular manufacturing systems. International Journal of Production Research, 51(20), 6017-6044. http://dx.doi.org/10.1080/00207543.2013.791755. Jayachitra, R., & Prasad, P. S. S. (2011). Performance analysis of Virtual Cellular Manufacturing: a simulation study. International Journal of Services and Operations Management , 8(1), 92. http://dx.doi.org/10.1504/IJSOM.2011.037442. Jayachitra, R., Revathy, R., & Prasad, P. S. S. (2010). A Fuzzy programming approach for formation of virtual cells under dynamic and uncertain conditions. International Journal of Engineering Science and Technology, 2(6), 1708-1724. Jerbi, A., Chtourou, H., & Maalej, A. Y. (2010). Comparing functional and cellular layouts using simulation and Taguchi method. Journal of Manufacturing Technology Management , 21(5), 529-538. http://dx.doi.org/10.1108/17410381011046940. Kamaruddin, S., Khoo, S. Y., Khan, Z. A., & Siddiquee, A. N. (2011). The effect of layout design on productivity: an empirical study. International Journal of Productivity and Quality Management, 7(4), 484. http://dx.doi.org/10.1504/IJPQM.2011.040545. Karl, A. A., Micheluzzi, J., Leite, L. R., & Pereira, C. R. (2018). 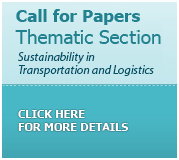 Supply chain resilience and key performance indicators: a systematic literature review. Production , 28(0), e20180020. http://dx.doi.org/10.1590/0103-6513.20180020. Khaksar-Haghani, F., Kia, R., Mahdavi, I., & Kazemi, M. (2012). A genetic algorithm for solving a multi-floor layout design model of a cellular manufacturing system with alternative process routings and flexible configuration. International Journal of Advanced Manufacturing Technology, 66(5-8), 845-865. http://dx.doi.org/10.1007/s00170-012-4370-2. Khilwani, N., Ulutas, B. H., Islier, A. A., & Tiwari, M. K. (2011). A methodology to design virtual cellular manufacturing systems. Journal of Intelligent Manufacturing , 22(4), 533-544. http://dx.doi.org/10.1007/s10845-009-0314-6. Kleijnen, J. P. C., Sanchez, S. M., Lucas, T. W., & Cioppa, T. M. (2005). State-of-the-Art Review: A User’s guide to the brave new world of designing simulation experiments. INFORMS Journal on Computing, 17(3), 263-289. http://dx.doi.org/10.1287/ijoc.1050.0136. Kongchuenjai, J., & Prombanpong, S. (2017). An integer programming approach for process planning for mixed-model parts manufacturing on a CNC machining center. 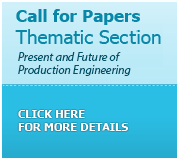 Advances in Production Engineering & Management, 12(3), 274-284. http://dx.doi.org/10.14743/apem2017.3.258. Lv, J., Xiong, L. L., & Han, W. M. (2014). Discussion on the application of activity-based costing in virtual manufacturing cell mode. Applied Mechanics and Materials , 551, 290-295. http://dx.doi.org/10.4028/www.scientific.net/AMM.551.290. Mahdavi, I., Aalaei, A., Paydar, M. M., & Solimanpur, M. (2011). Multi-objective cell formation and production planning in dynamic virtual cellular manufacturing systems. International Journal of Production Research, 49(21), 6517-6537. http://dx.doi.org/10.1080/00207543.2010.524902. Mar-Ortiz, J., Adenso-Díaz, B., & González-Velarde, J. L. (2015). A comparison of manufacturing and disassembly systems from a cellular configuration point of view. International Journal of Advanced Manufacturing Technology , 79(9-12), 2003-2016. http://dx.doi.org/10.1007/s00170-015-6969-6. Mclean, C. R., Bloom, H., & Hopp, T. H. (1982). The virtual manufacturing cell. In Proceedings of fourth IFAC/IFIP Conference on Information Control Problems in Manufacturing Technology (pp. 105-111). Gaithersburg: IFAC/IFIP. McLean, R. S., & Antony, J. (2017). A conceptual continuous improvement implementation framework for UK manufacturing companies. International Journal of Quality & Reliability Management, 34(7), 1015-1033. http://dx.doi.org/10.1108/IJQRM-02-2016-0022. Medina-Herrera, N., Jiménez-Gutiérrez, A., & Grossmann, I. E. (2014). A mathematical programming model for optimal layout considering quantitative risk analysis. Computers & Chemical Engineering, 68, 165-181. http://dx.doi.org/10.1016/j.compchemeng.2014.05.019. Mello, M. H. (2005). Avaliação do Desempenho de Alternativas em Planos de Processo utilizando Simulação e Projeto de Experimentos . (Dissertação de mestrado). Departamento de Engenharia Mecânica, Universidade Federal de Santa Catarina, Florianópolis. Mesquita, M. A.; Mariz, F. B. A. R.; & Tomotani, J. V. (2017). The Skateboard Factory: a teaching case on discrete-event simulation.Production,27(spe), 1-11.http://dx.doi.org/10.1590/0103-6513.226216. Montgomery, D. C. (2012). Design and Analysis of Experiments (8th ed.). New York: Wiley. Morris, J. S., & Tersine, R. J. (1994). A simulation comparison of process and cellular layouts in a dual resource constrained environment. Computers & Industrial Engineering, 26(4), 733-741. http://dx.doi.org/10.1016/0360-8352(94)90008-6. Murthy, P. B. G. S. N., Ranganayakulu, J., Vidhu, K. P., & Rao, K. V. (2016). Heuristic Search Algorithm for the Single-row Machine Layout in an Automated Manufacturing System. Procedia Technology, 25, 1088-1095. http://dx.doi.org/10.1016/j.protcy.2016.08.213. Paydar, M. M., & Saidi-Mehrabad, M. (2014). Revised multi-choice goal programming for integrated supply chain design and dynamic virtual cell formation with fuzzy parameters. International Journal of Computer Integrated Manufacturing, 28(3), 251-265. http://dx.doi.org/10.1080/0951192X.2013.874596. Paydar, M. M., & Saidi-Mehrabad, M. (2017). A hybrid genetic algorithm for dynamic virtual cellular manufacturing with supplier selection. International Journal of Advanced Manufacturing Technology, 92(5-8), 3001-3017. http://dx.doi.org/10.1007/s00170-017-0370-6. Phanden, R. K., Jain, A., & Verma, R. (2013). An approach for integration of process planning and scheduling. International Journal of Computer Integrated Manufacturing , 26(4), 284-302. http://dx.doi.org/10.1080/0951192X.2012.684721. Rajapakshe, T., Dawande, M., & Sriskandarajah, C. (2011). Quantifying the Impact of Layout on Productivity: An Analysis from Robotic-Cell Manufacturing. Operations Research, 59(2), 440-454. http://dx.doi.org/10.1287/opre.1100.0874. Ramachandran, J., & Prasad, P. S. (2014). Facility layout selection guideline under dynamic demand and part variety. Journal of Engineering Technology, 4(1), 55. http://dx.doi.org/10.4103/0976-8580.123806. Reaes, P. A. (2008). Comparação de desempenho entre as configurações celular, job shop e celular virtual através de simulação e projeto de experimentos (Tese de doutorado). Departamento de Engenharia Mecânica, Universidade Federal de Santa Catarina, Florianópolis. Rezazadeh, H., Ghazanfari, M., Sadjadi, S. J., Aryanezhad, M., & Makui, A. (2009). Linear programming embedded particle swarm optimization for solving an extended model of dynamic virtual cellular manufacturing systems. Journal of applied research and technology , 7(1), 83-108. Rheault, M., Drolet, J. R., & Abdulnour, G. (1995). Physically reconfigurable virtual cells: A dynamic model for a highly dynamic environment. Computers & Industrial Engineering, 29(1-4), 221-225. http://dx.doi.org/10.1016/0360-8352(95)00075-C.
Sakhaii, M., Tavakkoli-Moghaddam, R., Bagheri, M., & Vatani, B. (2016). A robust optimization approach for an integrated dynamic cellular manufacturing system and production planning with unreliable machines. Applied Mathematical Modelling, 40(1), 169-191. http://dx.doi.org/10.1016/j.apm.2015.05.005. Sanchez, S. M. (2008, December 7-10). Better than a petaflop: The power of efficient experimental design. In 2008 Winter Simulation Conference. Miami: IEEE. http://dx.doi.org/10.1109/WSC.2008.4736057. Shafer, S. M., & Charnes, J. M. (1993). Cellular versus functional layouts under a variety of shop operating conditions. Decision Sciences, 24(3), 665-682. http://dx.doi.org/10.1111/j.1540-5915.1993.tb01297.x. Shafigh, F., Defersha, F. M., & Moussa, S. E. (2015). A mathematical model for the design of distributed layout by considering production planning and system reconfiguration over multiple time periods. Journal of Industrial Engineering International , 11(3), 283-295. http://dx.doi.org/10.1007/s40092-015-0102-1. Sieckmann, F., Ngoc, H. N., Helm, R., & Kohl, H. (2018). Implementation of lean production systems in small and medium-sized pharmaceutical enterprises. Procedia Manufacturing , 21, 814-821. http://dx.doi.org/10.1016/j.promfg.2018.02.188. Silva, A. L., & Rentes, A. F. (2012). A layout design model for job shop environments with high variety of parts based on lean production concepts. Gestão & Produção , 19(3), 531-541. http://dx.doi.org/10.1590/S0104-530X2012000300007. Suresh, N. C., & Slomp, J. (2005). Performance comparison of virtual cellular manufacturing with functional and cellular layouts in DRC settings. International Journal of Production Research, 43(5), 945-979. http://dx.doi.org/10.1080/00207540412331320508. Thomé, A. M. T., Scavarda, L. F., & Scavarda, A. J. (2016). Conducting systematic literature review in operations management. Production Planning and Control , 27(5), 408-420. http://dx.doi.org/10.1080/09537287.2015.1129464. Tranfield, D., Denyer, D., & Smart, P. (2003). Towards a methodology for developing evidence-informed management knowledge by means of systematic review. British Journal of Management , 14(3), 207-222. http://dx.doi.org/10.1111/1467-8551.00375. Tranfield, D., Denyer, D., Marcos, J., & Burr, M. (2004). Co-producing management knowledge. Management Decision, 42(3-4), 375-386. http://dx.doi.org/10.1108/00251740410518895. Wang, G., Shin, Y. W., & Moon, D. H. (2015). Comparison of three flow line layouts with unreliable machines and profit maximization. Flexible Services and Manufacturing Journal , 28(4), 669-693. http://dx.doi.org/10.1007/s10696-015-9233-3. Wang, Z., Yang, J., Wang, G., & Zhang, G. (1987). Computer-Aided Design. Proceedings of the institution of Mechanical Engineers, Part C: Journal of Mechanical Engineering Science , 19(10), 521-571. Watanapa, A., & Wiyaratn, W. (2018 March 14-16). Improvement of rubber smoked sheet plant using arena layout for increasing productivity. In Proceedings of the International MultiConference of Engineers and Computer Scientists (Vol. 2). Hong Kong: IMECS. Zattar, I. C., Ferreira, J. C. E., Rodrigues, J. G. G. G., & de Sousa, C. H. B. (2010). A multi-agent system for the integration of process planning and scheduling using operation-based time-extended negotiation protocols. International Journal of Computer Integrated Manufacturing , 23(5), 441-452. http://dx.doi.org/10.1080/09511921003665775.